HOPE® Fixative Starter Kit | Polysciences, Inc. 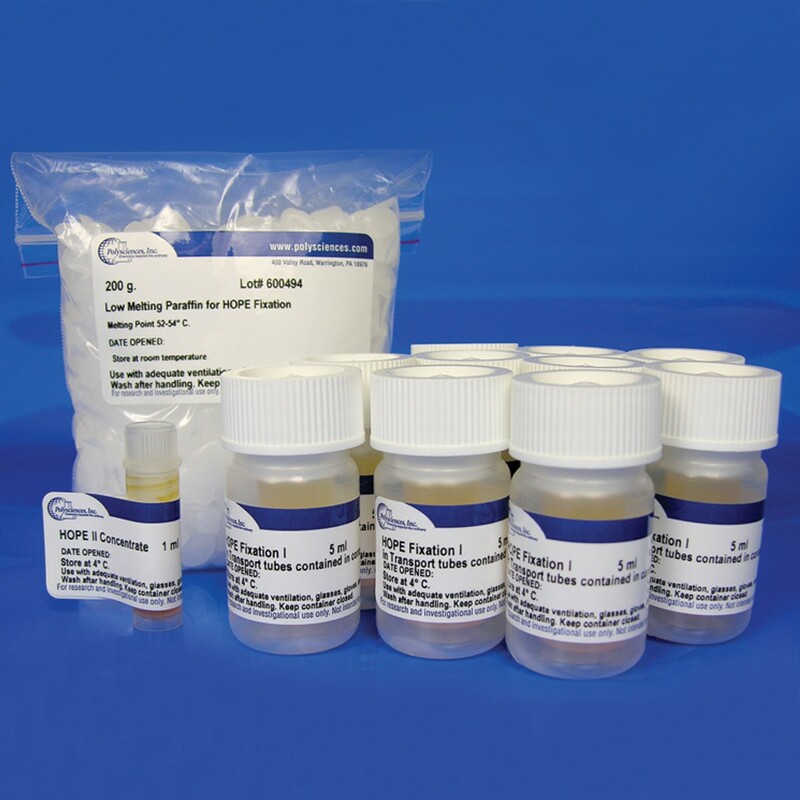 Many "cryo-type" antibodies are working on HOPE® fixed tissue sections and many antibodies are working without any heat pretreatment or proteolytic digestion steps often necessary for formalin fixed tissue sections. There is no "over-fixation" with HOPE®, as is known with formalin, when keeping the tissue specimen in the fixation solution. This results in a more standardized fixation process. RNA, DNA and proteins are conserved in high quality, thus making subsequent applications possible like e.g. PCR, RT-PCR, Northern-Blot, Immunohistochemistry, Western-Blot and many others, out of the same tissue blocks. Kit Contains: 10 transportation vials filled with 5 ml HOPE® I with protection vials, 1 x 1 ml HOPE® II and 200 grams low melt point paraffin.